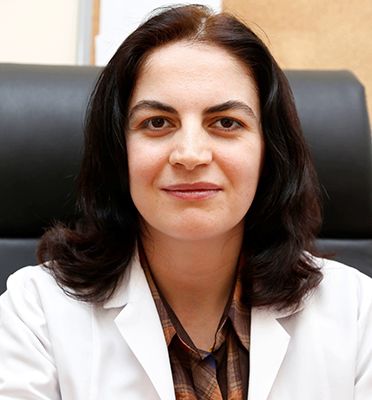 Dr. Karadag received her MD degree from Gazi University Medical School (1999) in Ankara, Turkey.. She interned and completed her dermatology residency at the Ankara Research and Training Hospital in 2005. Since then, she he has been affiliated with the Istanbul Medeniyet University Medical School, where she is currently Associate Professor of Dermatology. During 2015-16, she was Visiting Dermatologist in Philadelphia and also participated in the Division of Dermatology at Cooper Medical School of Rowan University, Camden, NJ. Dr. Karadag is coeditor of the textbooks Phototherapy and Acne and Rosacea. She holds membership in the European Academy of Dermatology and Venereology, International Academy of Cosmetic Dermatology, and Turkish Dermatology Society. She is Secretary of the Acne Study Group of the Turkish Dermatology Society, where she is also a member of the Phototherapy and Psoriasis Study Groups. Dr Karadag has lectured at many national meetings and has participated in several international congresses. Her research has recieved more than 10 awards from various dermatology societies, and she has published more than 150 international and 80 national peer-reviewed papers. She has prepared 150 national poster presentations and written 10 textbook chapters. She is a Member of the Editorial Board of the International Journal of Dermatology. Her special interests include acne, isotretinoin, psoriasis, phototherapy, and medical dermatology.